The MONSTER'S twin brother is here and ready for action!! 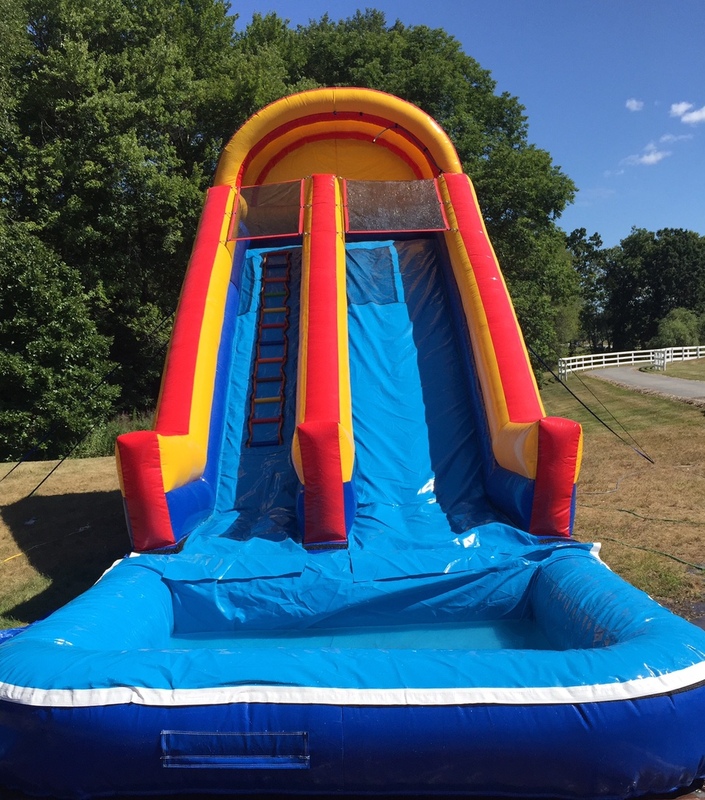 This inflatable water slide is not for the faint of heart. It towers at a whopping 20 feet high and the steep slope it has is sure to evoke screams! And at the bottom the kids splash into a large pool. 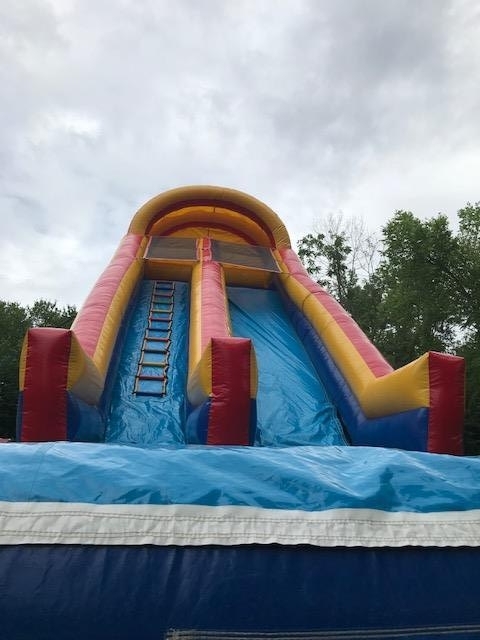 The Monster SPLASH is sure to bring your party to the next level and keep smiles on all your guests.